The governor originally urged Uber to test driverless vehicles in the state, even taking the first ride himself. Arizona Gov. Doug Ducey has sent Uber Technologies Inc. a strongly worded letter suspending the company's testing of self-driving vehicles in the state, saying the death of a pedestrian who was struck by a driverless SUV this month was an "unquestionable failure to comply" with safe procedures. Uber responded by pointing out that it has already suspended its entire testing program across North America, while saying it would "keep a dialogue open with the Governor's office." In the letter, which was addressed to Uber Chief Executive Dara Khosrowshahi and was dated Monday, more than a week after the March 18 accident, Ducey said video of the collision released last week by police in Tempe, near Phoenix, "raises many questions about the ability of Uber to continue testing in Arizona." "Improving public safety has always been the emphasis of Arizona's approach to autonomous vehicle testing, and my expectation is that public safety is also the top priority for all who operate this technology in the state of Arizona," Ducey wrote. "The incident that took place on March 18 is an unquestionable failure to comply with this expectation." On Tuesday, Nvidia, the company that provided some of the technology for Uber's self-driving vehicles, said it would halt public tests around the world, joining Toyota, which announced a similar move last week. "Ultimately, [autonomous vehicles] will be far safer than human drivers, so this important work needs to continue," an Nvidia spokesperson wrote in an email. "We are temporarily suspending the testing of our self-driving cars on public roads to learn from the Uber incident." The video released by police last week shows the Uber vehicle, a 2017 Volvo XC90 SUV that was operating in autonomous mode, striking and killing Elaine Herzberg, 49, as she crossed the street walking a bicycle with her. The SUV didn't slow down or alter its course to avoid her, the video shows. In a statement posted to the Twitter account of Uber's communications team, the company pointed out that it had already suspended testing of all self-driving vehicles in the four cities where it had been under way: San Francisco, Pittsburgh, Phoenix and Toronto. "We continue to help investigators in any way we can, and we'll keep a dialogue open with the Governor's office to address any concerns they have," it said. Ducey's action represents a reversal of course for the governor, who issued an executive order in 2015 inviting self-driving vehicle companies to the state without enacting new regulations. In December 2016, he urged Uber to move its California testing to Arizona after California temporarily revoked the company's permits over an unpaid permit fee. "Arizona welcomes Uber self-driving cars with open arms and wide open roads," Ducey wrote at the time, adding: "California may not want you, but we do." Two months later, Ducey even took the first ride when Uber began its testing in the Tempe area — video of which the governor's office posted on its own site. The permit dispute with California came to a head on Tuesday when Uber confirmed that it would end its testing program in the state. Uber's current California permit expires Saturday, the state Department of Motor Vehicles said in correspondence with the company that was published by the San Francisco Chronicle and The Associated Press. 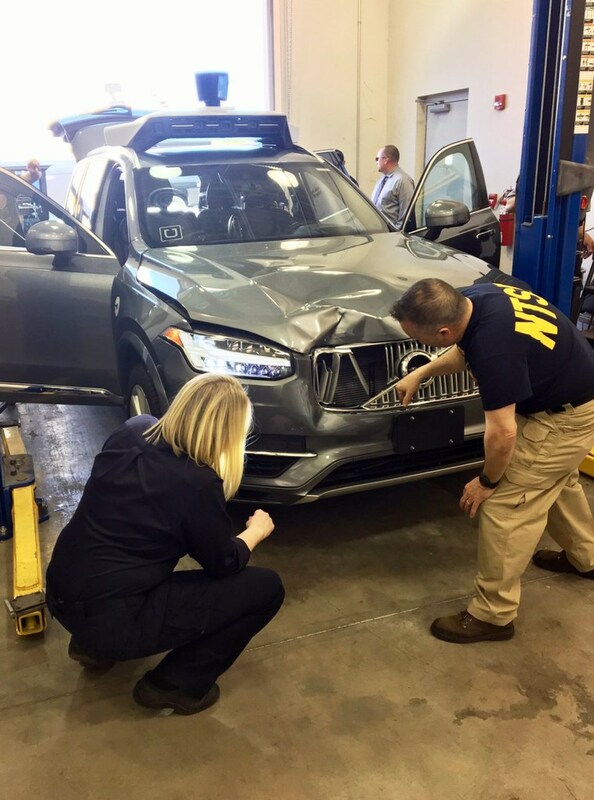 Before it can resume testing in California, Uber must "address any follow-up analysis or investigations from the recent crash in Arizona" as well as apply for a new permit, according the correspondence. A spokesperson for Uber told NBC News that in light of its suspension of all testing after the accident, "we decided to not reapply for a California permit with the understanding that our self-driving vehicles would not operate in the state in the immediate future."